(Natural News) For just 25 pounds, you can purchase a carb blocker guaranteed to promote weight loss and hinder post-meal slumps. Created by Polish scientists, Tribitor is a supplement marketed as a carb blocker which is mixed with water and consumed 15 minutes before eating foods that have a high glycemic index (GI). Once ingested, it prevents the absorption of carbohydrates and deters the prevalence of high insulin levels and the accumulation of fats around the midriff, said Kate Marczak, who supervised the supplement’s clinical trials. Some say that carb blockers – which are made of a group of compounds called alpha-amylase inhibitors and which are naturally-occurring in certain foods – decrease the amount of glucose and insulin spikes your body gets after consuming foods that are high in refined carbohydrates. These include items such as rice, bread, chocolate, fizzy drinks, pasta, pizza, and popcorn, among others. They allow you to eat carbs without the unwanted calories. Carbohydrates break down into glucose in the bloodstream, with refined versions such as bread, pasta, and sugar such as there is excessive insulin release as they lead to high spikes in blood sugar that tell the body to make more of the hormone to process it. Insulin is the hormone manufactured in the pancreas that aids the body in moving sugars from food into our bodies’ cells. It delivers glucose to the liver and then the muscles, where it is stored as glycogen to be used as energy. If there is any extra glucose, which usually happens, it is brought to the bodies’ fat cells and kept there, especially around the midriff. Ingesting a carb blocker before eating a meal that is high in refined carbohydrates could help decrease glucose and insulin spikes. This is not to say that it is now acceptable to eat donuts all day, as carb blockers do not reverse the effects of carbohydrates on your body, they merely reduce their effects. “The intake of high GI foods makes your post-meal blood sugar level go up very quickly. A natural compensation mechanism of your body is the release of the hormone insulin. This enables the decrease in blood glucose levels. The higher the glucose spike, the more rapid the insulin reaction,” London-based general practitioner and endocrinology and diabetes specialist Dr. Theodora Mantzourani said. “With an insulin release, blood sugar levels go down again. As the insulin has been rapidly released, blood sugar levels also drop fast and low. This is where post-meal slumps and the cravings for more sugar and carb heavy meals occur,” Dr. Mantzourani, who has a special interest in weight management, added. 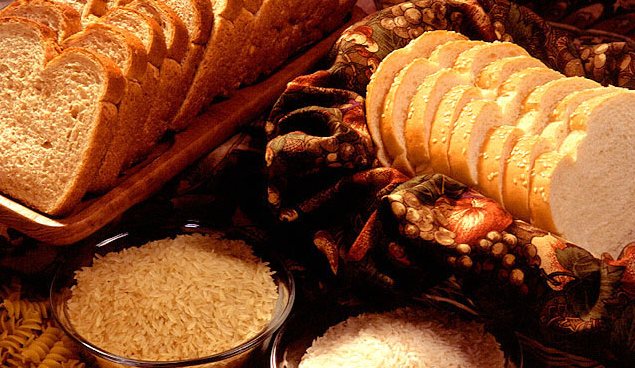 Experts recommend choosing a carb blocker with sound scientific evidence to back its claims, as well as one that has concentrated ingredients that have a reputation for working. Many carb blockers have single ingredients that have carb-blocking effects, like the white bean or green coffee. This means that they influence only one stage of the carbohydrate-digestion process. This is not true of Tribitor, Marczak said. “It’s a drinking powder that helps inhibit the digestion of carbohydrates after they have been consumed. Most of the carb blockers on the market influence only one stage of the carbohydrate digestion process. Tribitor’s action is more complex and inhibits all three stages of the absorption process your body goes through each time you eat carbs: digestion from starch to sugar, then the conversion from sugar to glucose, and finally glucose absorption in the intestinal tract,” Marczak added. Another benefit of carb blockers is they increase the amount of resistant starch in the large intestine. Many studies have linked resistant starch with less body fat, healthier gut bacteria, and improved blood sugar control and insulin sensitivity. However, there is a caveat to using carb blockers. For instance, they have no profound effect on added sugars in processed foods such as sucrose or fructose. Also, people with diabetes who take insulin should consult with a doctor first before taking carb blockers, for they can be exposed to the danger of getting low blood if their insulin dosage is not adjusted. For news stories regarding fitness, health, and proper diets, visit Slender.news.